STRAZORS.com - all about classic razors - Jaques LeCoultre, Switzerland. The Lecoultre family, originaly from France purchase land in Sentier Switzerland around 1593, Sentier is part of the valley de Joux surronding the Lac du Joux (Lake). 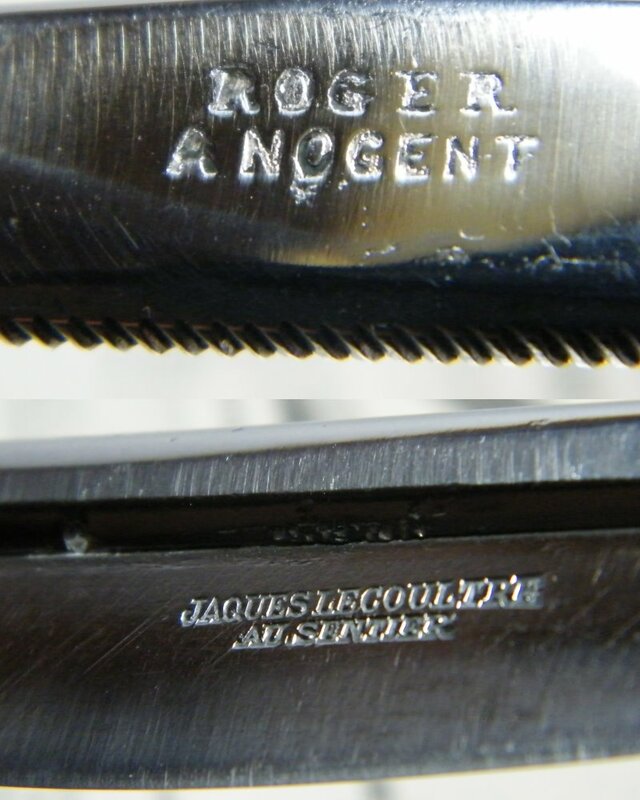 Jaques Le Coultre made razors, strops, musical boxes - and watches. 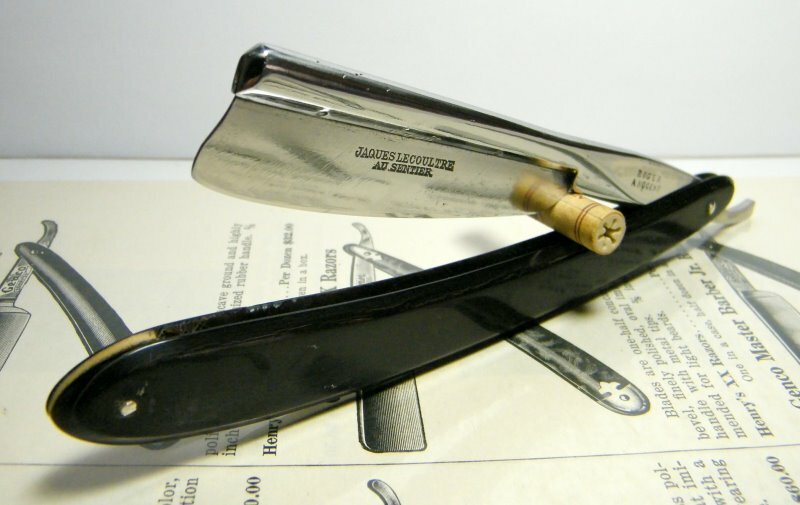 Some razors were advertised as being made from '...steel wire used for watch springs, and consequently of superior temper...' Jaques son, Antoine, set up on his own account in 1833. His company was not called 'Jaques LeCoultre' - rather LeCoultre & Cie and later (c1958) Le Coultre & Cie Borgeaud. He had a number of children, none called Jaques. However it is certain that the firm of "Jaques LeCoultre" survived as a separate business entity with its own mark and official registration data, run alongside LeCoultre & Cie.
Amongst Antoine's children was Elie (1842 - 1917) who joined the company aged 16 and was a major influence. Elie had a son called David - Antoine's grand-son, who figures in the Jaeger-LeCoultre story. Edmond Jaeger (1858 - 1922) was purely a watchmaker, who set up as a watchmaker for the french navy in 1880, in Paris. In 1903 he met the grand-son of Antoine LeCoultre - David, setting him a task to make ultra-thin watch movements that led to a series of pocket watches. Jaeger had already designed the movements, but it took the fine tolerances of a company like LeCoultre & Cie to make them into a reality. The design was owned by Jaeger, who let it exclusively to Cartier for 15 years (from 1907-22), and David LeCoultre made the movements. Although some watch and clock sites say that the collaboration involved Antoine LeCoultre, he died in 1881 so was never personally involved. David, son of Elie LeCoultre, was director of LeCoultre & Cie from 1906 - 1948 (when he died). The collaboration between Jaeger and LeCoultre & Cie was not officially finalised - and named Jaeger LeCoultre - until 1937. 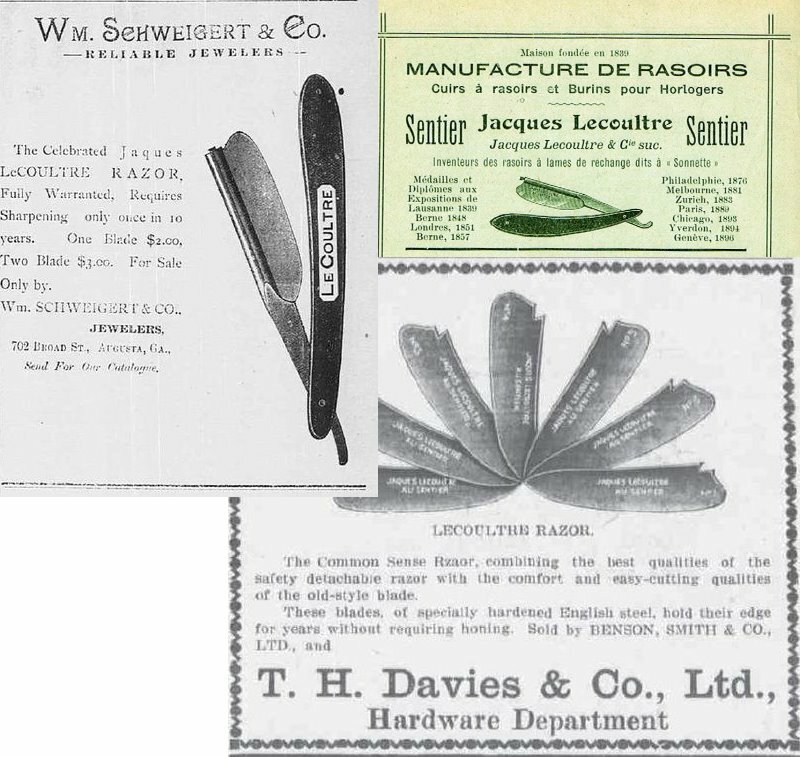 LeCoultre stopped making razors in 1919 to devote the company to watchmaking-clockmaking, witch they hold over 200 patents.